In 1911, Misses May Crooke and Mabel Carlyon took on the lease of Stowford Lodge and the five acre gardens for a period of six years, at an annual rent of £123 12s 0d. 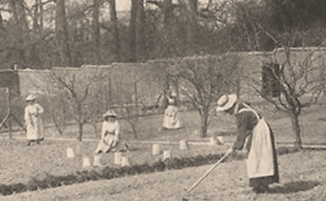 May Crooke then set up the Devonshire School of Gardening, the only such establishment in the South West. May and Mabel had trained, and then became instructors, under the guidance of the Warwickshire Agricultural Scheme which was started by the Countess of Warwick in 1898. She was better known as one of the mistresses of Edward VII! In May 1912, Miss Crooke was awarded an honorary Diploma in Horticulture by the Women’s Agriculture International Union. The Devonshire School catered for young ladies who wished to study horticulture. It offered both practical and theoretical instruction. Fees for the school were £70 per annum for a residential course. There were three instructors and 10-12 students. The garden was fully equipped and contained 10 greenhouses including vineries, peach and carnation houses, a fine conservatory, mushroom house, heated pits and a good selection of fruit trees. The flower gardens were extensive and very varied, comprising a water garden, rock, herbaceous and rose gardens, lawns etc. Choice shrubs, bamboos and palms grew in the open. It is recorded in the Ivybridge Parish Magazine of 1915 that the ladies of the school provided an excellent tea at Stowford Lodge during June. The occasion was the Catechism Treat which had been celebrated at the church with a service prior to the tea. It was reported that the ladies had ‘worked with a will’ to clear the large barn to provide sheltered space and comfort for the children to have tea. The ladies entertained the children and took parties around the garden. The Devonshire School of Gardening closed in February 1917. 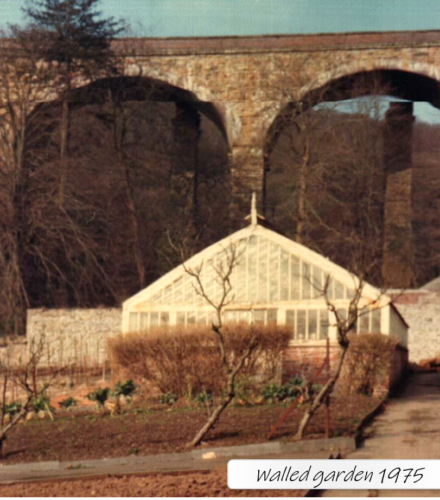 Situated at the rear of the mill site, alongside the River Erme and under the shadow of the viaduct, is a one acre walled garden. It is almost a secret garden as its history has never before been documented. This hidden walled garden was built in the 1860s by John Allen, the owner of Stowford Paper Mill from 1849. Both the walls and the garden paths include slate from Delabole, North Cornwall, as John Allen had invested in the quarry. The high granite walls surrounding the garden show signs of several pre-existing roof lines of greenhouses and cold frames. The bases remain with original taps and heating pipes still in place. Wide pathways edged with slate divide the garden into quarters. In 1935 there were three gardeners tending the whole Stowford site but that year it was cut to one. 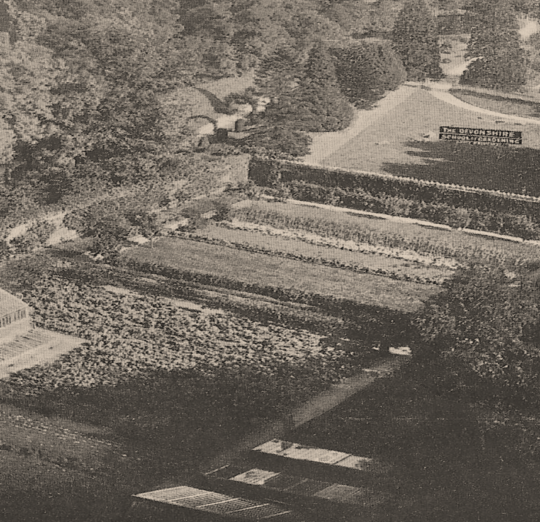 The vegetable crops were used by the Allen family living at Stowford Lodge and any surplus was made available to employees and two local greengrocers. The gardens remained in full production until the early 1990s, when cost considerations meant that the gardener could no longer be employed and the well-ordered vegetable and flower gardens and productive fruit trees were left largely unattended thereafter. 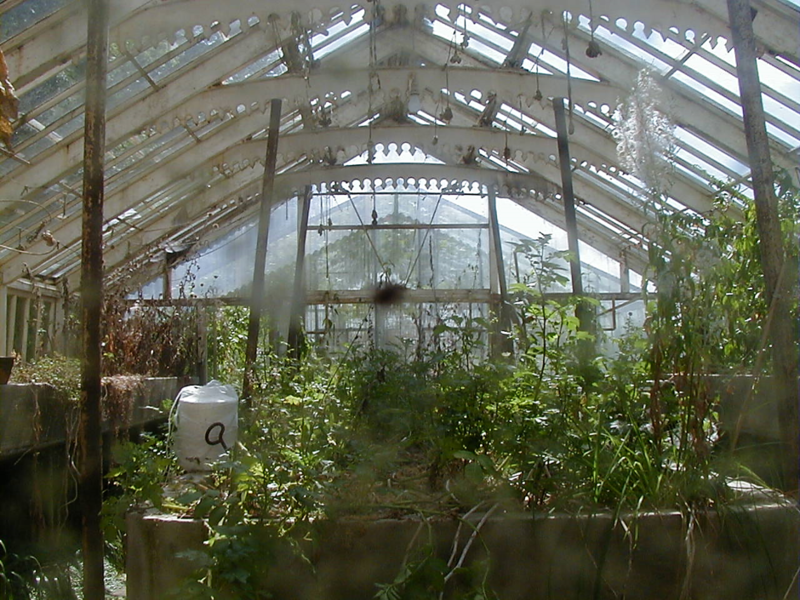 Only one large standing greenhouse remains but the condition of this nationally unique building is now much less robust and in need of careful restoration. It contains original cast iron cross members and a virtually intact original boiler in the adjoining boiler room, both thought to have been cast by a foundry at Exeter. This garden is noted by the Devon Gardens Trust and The Garden History Society as being of significant heritage interest. The aim of the school was to ‘turn out women capable of filling some of the many posts offered or returning to their own Estates and Gardens and working them to the very best advantage’. This hidden walled garden was built in the 1860s by John Allen, the owner of Stowford Paper Mill from 1849. Both the walls and the garden paths include slate from Delabole as John Allen had invested in the quarry. The high granite walls surrounding the garden show signs of several pre-existing roof lines of greenhouses and cold frames. The bases remain with original taps and heating pipes still in place. 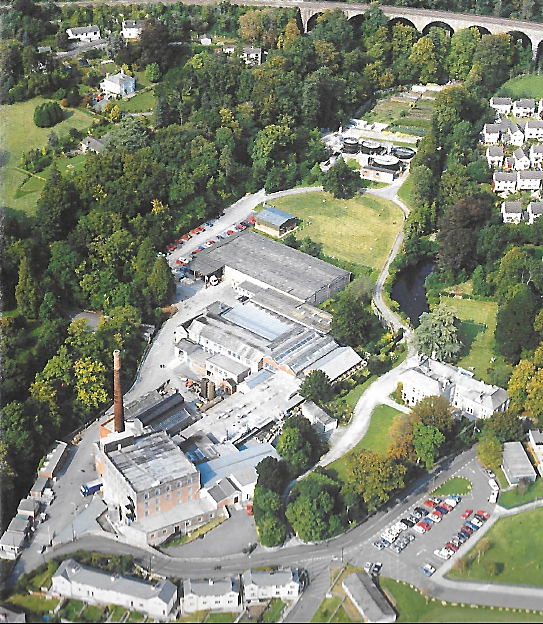 An aerial view of Stowford Paper Mill with the walled garden beyond the round Paterson sedimentation tanks just before the viaduct. 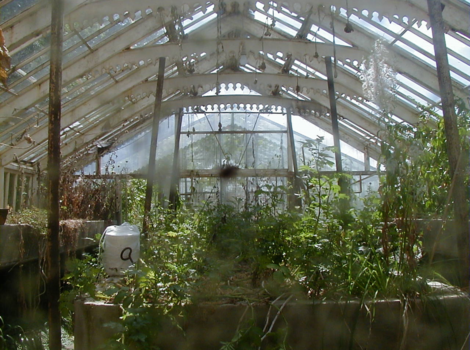 The remaining greenhouse showing the cast iron cross members thought to be of special interest by garden historians and probably unique to the Stowford Garden.